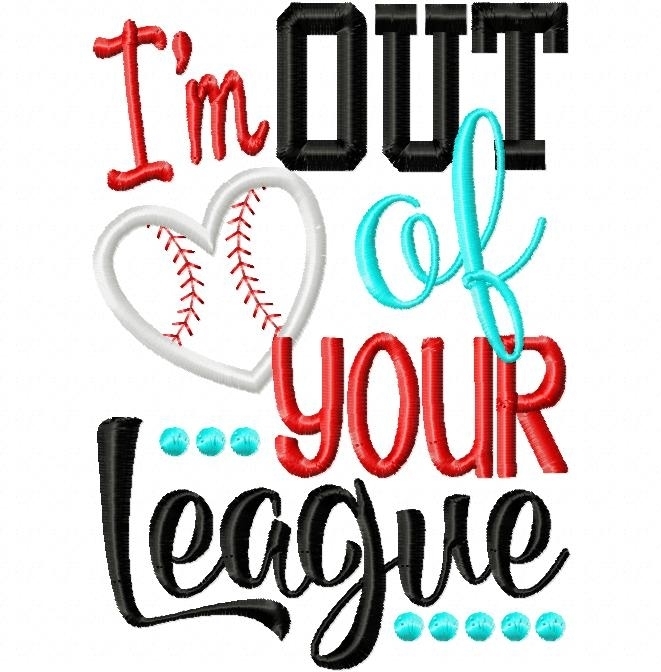 I'm Out of Your League Baseball Applique - 2 Sizes! Fun for baseball season! Includes 5x7 and 6x10 sizes. The heart baseball is applique. Baseball Y'all Applique - 2 Sizes! Homerun Honey Applique - 2 Sizes! Finish Size 4.95" x 6.94"
Finish Size 5.94" x 8.43"